Another favorite among fisherman . A friend of mine claims that the record speckled trout was caught on this lure . 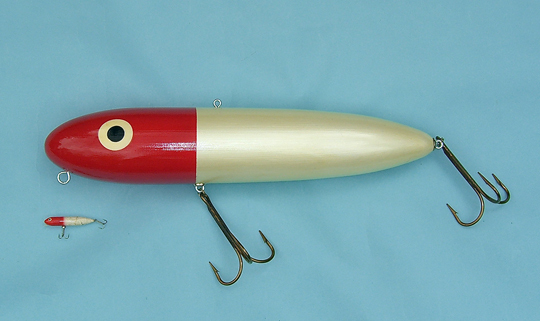 This lure sculpture is loosely based on the old Heddon Zara Red Head .